I’ve had this green skirt forever, paying a measly $4 from the clearance rack at Christopher and Banks. I couldn’t believe my luck with the find. One, the skirt was a perfect fit for me even if the length was a little longer than what I normally wear. 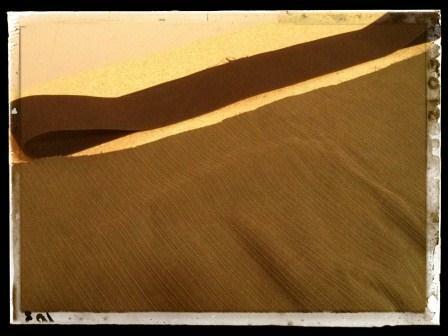 Two, the fabric was not flimsy but not super heavy. The fabric gave the skirt nice structure. Three, I liked the color green even though I wasn’t quite sure what I could match with a dark olive green. Over the years, I basically paired with the skirt with anything black. I think the skirt is still in good shape, but unfortunately, the fit is no longer perfect. Boo. Hiss. 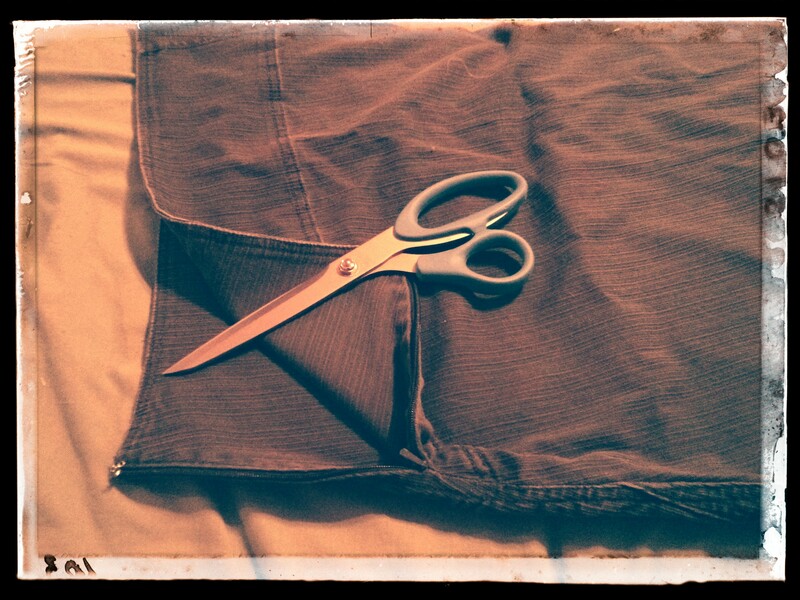 But I do believe this skirt can be saved with a little bit of creativity, a pair of scissors, and elastic. Because the skirt is slightly longer than normal for me, I can simply cut off the waist area that includes the zipper and add an elastic waistband to the top. Out of the three methods I know, I chose to simply add a 2-inch elastic waistband instead of running a drawstring through a casing or hiding a smaller size elastic in a casing. Because the fabric is almost like denim or corduroy, I felt the drawstring method and the hidden elastic method wouldn’t work well. So, that left the awesome “just add elastic” method. I just needed to make sure I could pull the elastic band over my wide hips and have it sit around my tummy area. 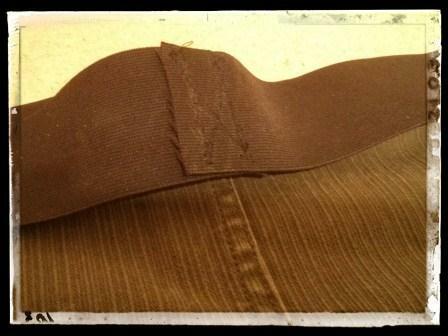 After cutting off the appropriate length of elastic, I overlapped the two ends about an inch and then sewed it closed. Anyone else a little paranoid that the elastic will fly off you when you’re in a crowded public area? Just me? OK. I would like to believe that I’m an expert at this method, but alas, I am not. Every time I use this method, I somehow encounter some new issue during the refashion process. Sometimes I just end up scrapping the refashion project after numerous attempts to fix the issues, but at other times, my creative fixes work and make me a very happy girl. 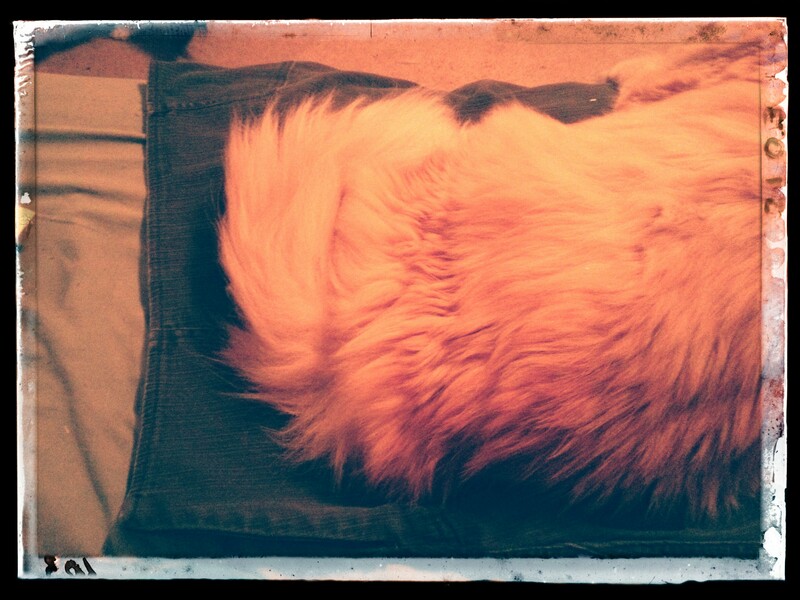 Luckily, I really had no issues refashioning my Darby August skirt. I’m pretty proud of myself for saving a skirt and extending the life for a few more years. Yay! YAY! I CAN WEAR THIS SKIRT AGAIN! 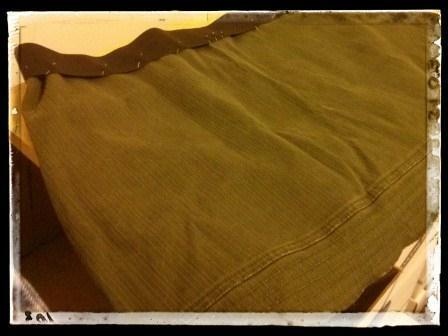 And the completion of the skirt is ready for the cooler weather! I have a personal fashion rule: don’t wear tights in the summer (nylons are an exception when attending a fancy event when I don’t feel like shaving or showing off my weird little legs). But now that August is over, I am more than happy to add tights to any skirt even when the sun is brightly shining. It’s September, and my personal fashion rule states I can wear tights between September and April – maybe May, depending on the weather.